MI6 Competition: MI6 has teamed up with Bloomsbury to offer lucky readers the opportunity to win copies of the newly released 'The Man with the Golden Typewriter'. Fleming's output was matched by an equally energetic flow of letters. 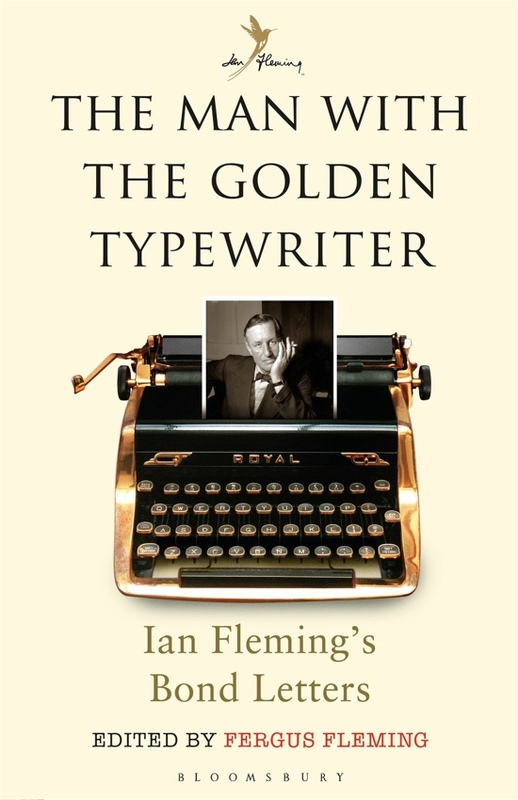 He wrote constantly, to his wife, publisher, editors, fans, friends and critics--and to the wife of the man whose name Fleming appropriated for his hero--charting 007's progress with correspondence that ranged from badgering Jonathan Cape about his quota of free copies--a coin was tossed and Fleming lost--to apologizing for having mistaken a certain brand of perfume and for equipping Bond with the wrong kind of gun. His letters also reflect his friendship with such contemporaries as Raymond Chandler, Noel Coward and Somerset Maugham. Which is the first Bond novel to be set in Jamaica? Terms & Conditions: The competition closes at midnight GMT on 13th November 2015. MI6 will choose the winners at random from the correct answers received. The winners will be contacted via the email address supplied and their postal address will be requested. If a winner fails to respond within 7 days of prize notification, another winner will be chosen until all prizes are allotted. Competition is open to MI6 readers based worldwide. Entrants must be at least 13 years of age.